I was given my API and transaction id # from Authorize.net. Are you saying that I need to create a specific Product type? I have not created a product for these items in my Authorize.net account. I was able to encounter the same error when I test your form https://www.jotform.us/form/62295690433157 as well. it should help in understanding the caused of issue. 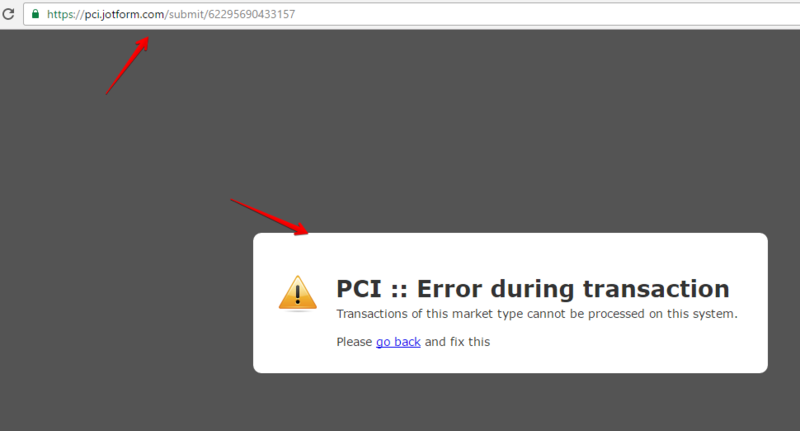 Response Reason Text: Transactions of this market type cannot be processed on this system. Notes: The server is not configured to process the product type derived from the market type of this transaction. You are attempting to process a type of transaction that your account is not designed to process. For example, you attempt to use a card swipe machine with an account that is enabled for Card Not Present transactions. Your software integration is passing an incorrect value for the field x_market_type. If you are using a Retail account, x_market_type should be set to a value of "2". 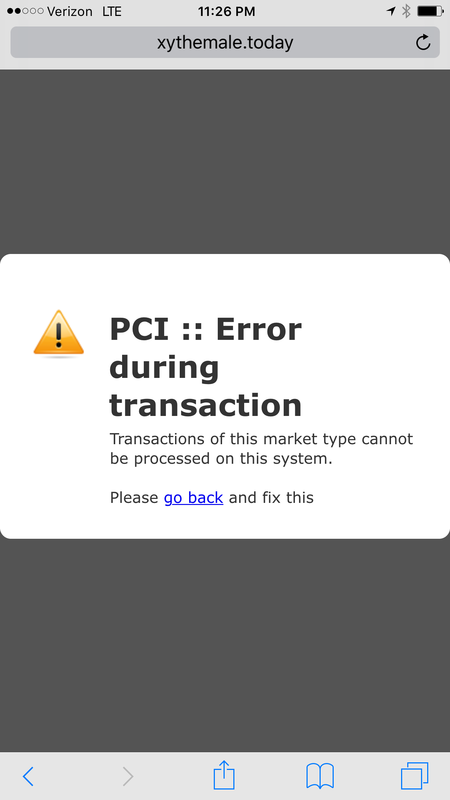 The integration guide for Card Present transactions can be found at http://www.authorize.net/support/CP_guide.pdf. Your Merchant Service Provider may be incorrectly set up for this account. The product type (SIC code) is incorrect for this account. It is recommended to check the posting URL that is being used for your integration. Please consult the guide for the integration method you are using to verify the correct posting URL. Log in to your account at https://account.authorize.net. Click Account from the main toolbar. Click Merchant Profile. Refer to the Product Type listed under Business Information. Can you please check on your authorize.net account if any 1 of the 4 reasons stated above matches. That probably was the reason for the error.